The fall foliage here in North Carolina this year has been running about a week late. 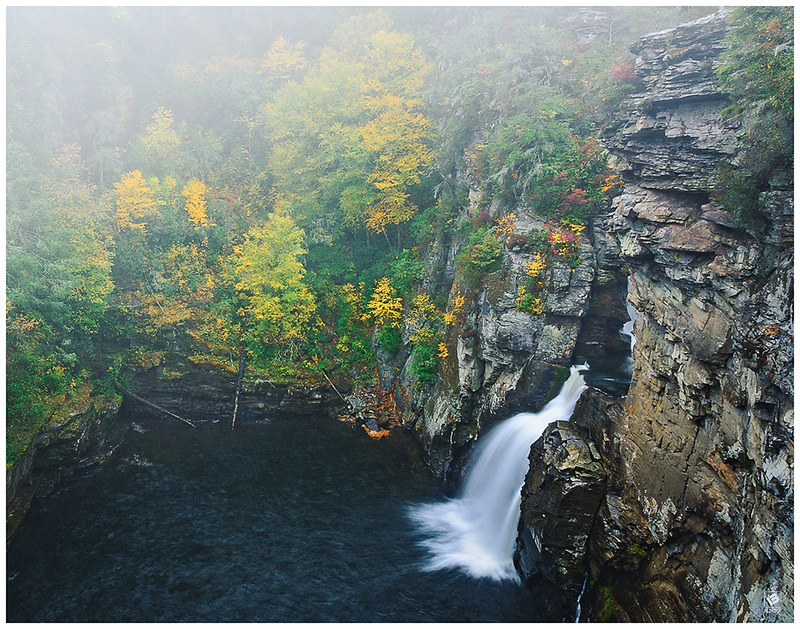 At the time these photos were taken during the first weekend of October 2017, color was just beginning to show in the gorge. The afternoon I hiked in was the same day that tropical depression Nate came through. Despite having rain gear and a pack cover, me and my gear were completely drenched. About the only thing I managed to keep dry was my camera – thankfully! Once I got down to the base of the falls, the wind and rain really began to pick up. I managed to get just a few frames, then had to turn back. There are not too many options for a unique perspective from this vantage point, but I felt the fog helped to add an extra visual element to the shot. If you hike down the Plunge Basin Trail on a windy day, be mindful of the dead hemlock trees. A high wind gust from the tropical storm blew one of them down across the trail shortly after I passed through that area heading down to the falls. It was kind of a weird feeling. I couldn’t help but think of the old saying, never set up camp under or near a dead tree. They don’t call them “widow makers” for nothing! 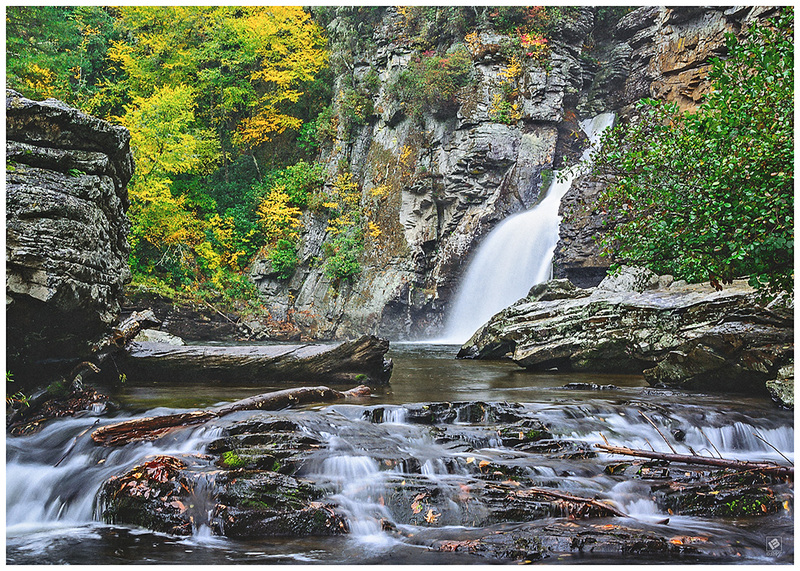 This entry was posted in Fall foliage, NC Mountains, Waterfalls by Matt Bennett. Bookmark the permalink.